I've used dandelion leaves before in salads but this is the first time that I've worked with the sunny heads. I remember being told as a child if you picked dandelions that you would wet the bed, I can now happily report that this is not the case. 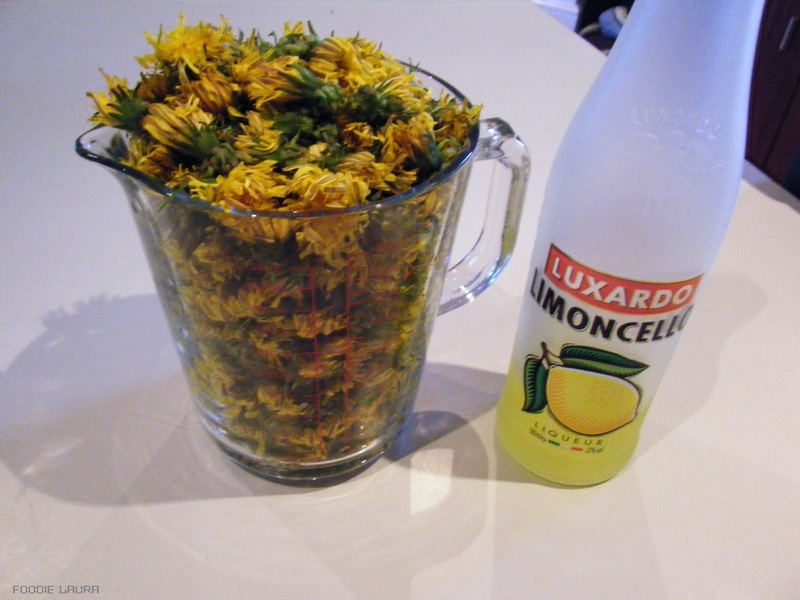 It's best to pick the dandelion heads when they first open in the morning sun as this is when they are sweetest and you then want to get them into the sugar syrup as soon as possible. I had to wait a while for the flowers to open at all as it has been quite dull here but when the sun crept out over the bank holiday weekend I was down at my favourite spot by the river filling a bag with dandelion heads. 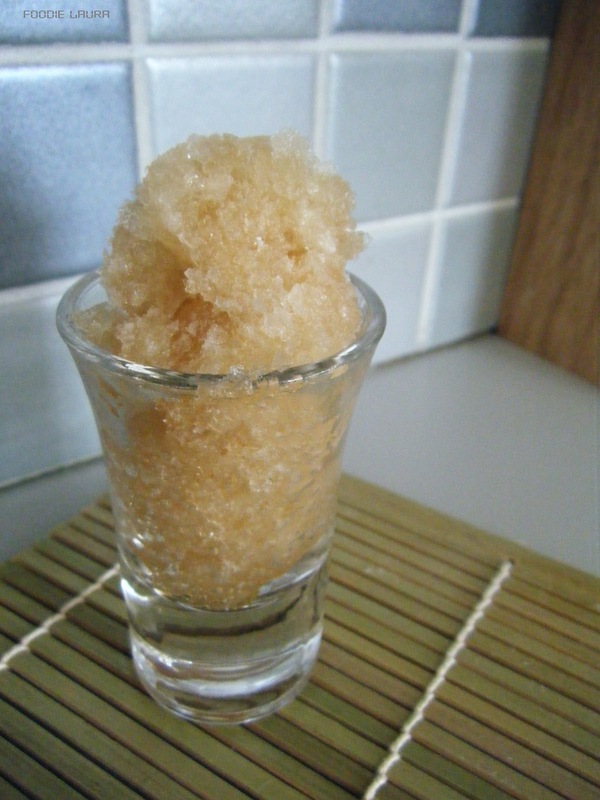 This sorbet is really sweet and refreshing, I like it best boozy treat after dinner. It would also be a quirky talking point at dinner parties when presented as a little pallet cleanser between courses. 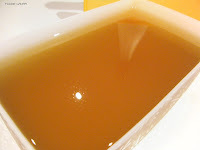 Dissolve the sugar in the water over a low heat to make a sugar syrup. Usually the ratio for sugar syrup is 1:2 but as we are adding Limoncello to the sorbet which is already very sweet you need to reduce the amount of sugar. Pluck the yellow petals from the heads, discarding the green bits and any ants that have hitchhiked into the kitchen on the flowers. 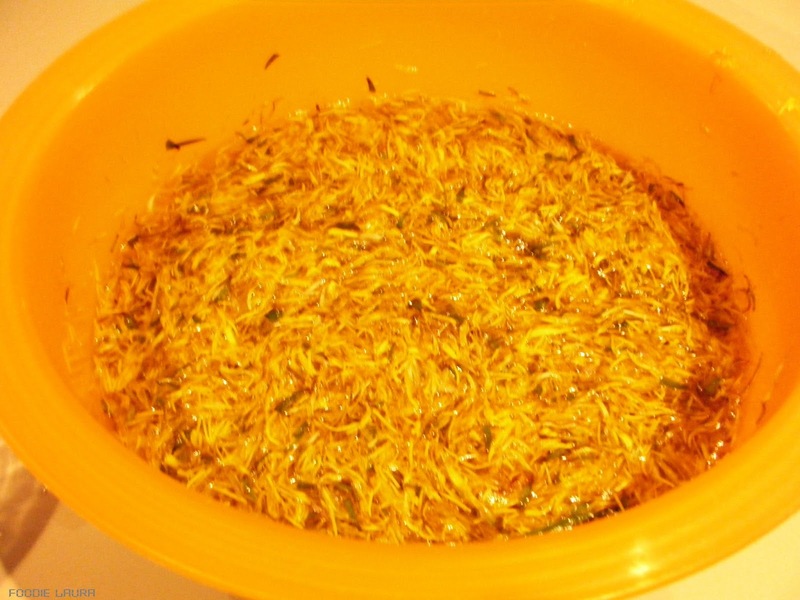 Steep the petals in sugar syrup mixture for an hour then strain through a fine sieve. Add the Limoncello to the dandelion sugar syrup and mix them together. 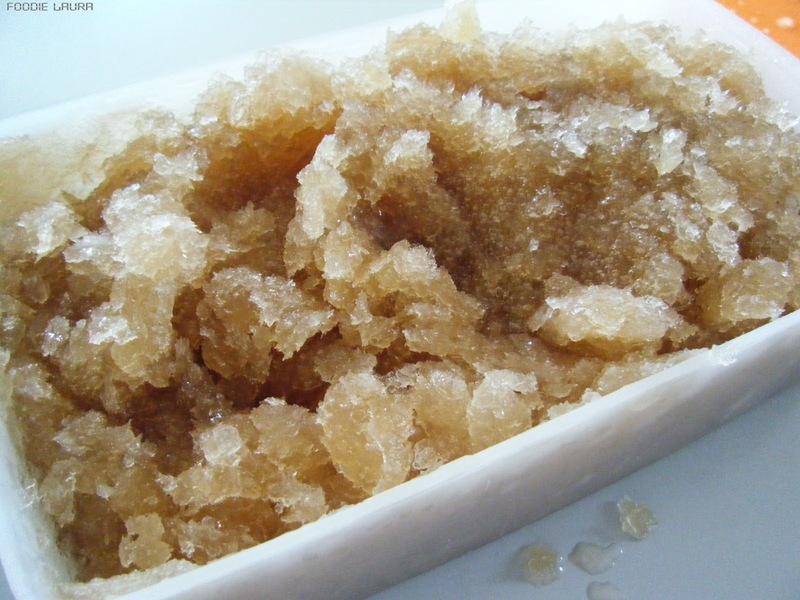 Freeze in a shallow freezeable dish. 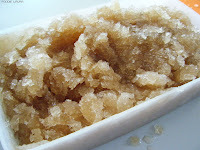 You can also use this mixture in an ice cream machine which will save you the doing all the stiring in the next step. 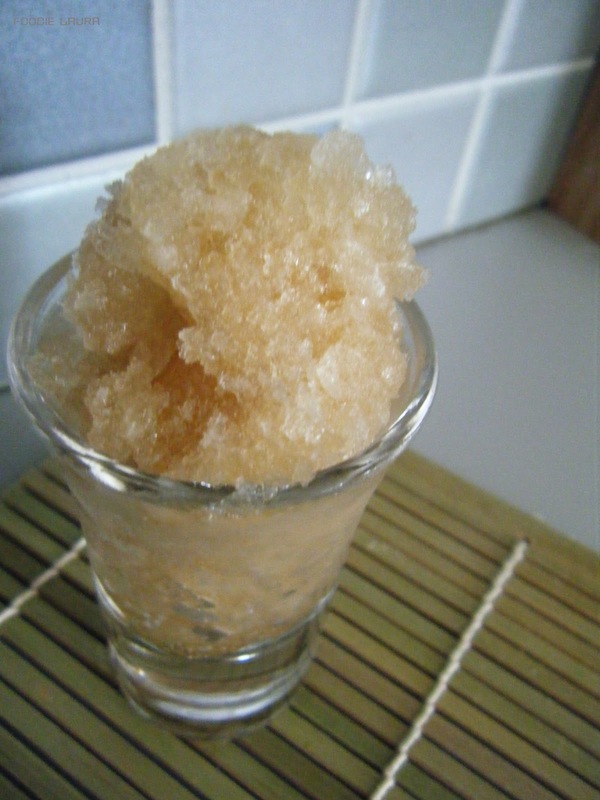 Leave to freeze overnight and in the morning stir up the mixture to break up the ice crystals, repeat this every couple of hours through out the day until you have a smooth sorbet that is frozen solid. Remove from the freezer 10 mins before serving to make it easier to serve. I struggled to keep all the green bits out of the mixture when I was soaking the petals, the result was that the sorbet has taken on a slightly brown hue rather than the yellow colour that I was hoping for but I like it, it's earthy looking and tastes sweet and fresh. You could substitute the Limoncello for a little lemon juice if you don't want to use alcohol just be aware that it will freeze much more quickly. I'm adding this to this months Nature's Lunchbox linky, do you have a foraging recipe to share?